Guilty Plea is Part of $1.3 Billion Settlement of Parallel Criminal and Regulatory Investigations into UniCredit Bank AG, UniCredit Bank Austria AG, and Unicredit S.p.A.
Manhattan District Attorney Cyrus R. Vance, Jr., today announced the resolution of an investigation into the criminal conduct of UniCredit Bank AG (“UCB AG”), a German bank that is part of the Italian UniCredit Group of banks, for violating U.S. sanctions laws and falsifying the business records of financial institutions in Manhattan. On April 16, UCB AG will plead guilty in Manhattan Supreme Court to charges of Falsifying Business Records in the First Degree and Conspiracy in the Fifth Degree for illegally moving hundreds of millions of dollars through banks in Manhattan on behalf of sanctioned countries and entities, including IRISL, the state-owned Iranian shipping company sanctioned as a proliferator of weapons of mass destruction, which the D.A.’s Office previously indicted in 2011 for illicitly moving money through New York banks. D.A. Vance also announced the resolution of a related investigation into UniCredit Bank Austria AG (“Bank Austria”), also a member of the UniCredit Group of banks. Bank Austria entered into a non-prosecution agreement with the DA’s Office with a forfeiture amount of $20 million, resolving the criminal investigation into related violations of U.S. sanctions and New York laws. Concurrently, UCB AG, Bank Austria, and their parent entity, UniCredit S.p.A., have agreed to resolve parallel regulatory investigations with the U.S. Department of Treasury’s Office of Foreign Assets Control (“OFAC”), the Board of Governors of the Federal Reserve, and the New York State Department of Financial Services (“DFS”), arising out of the same underlying conduct. In total, the banks have agreed to pay $1.3 billion in criminal and regulatory penalties. Arising out of the D.A.’s 2011 investigation of IRISL, the investigation of UCB AG uncovered that, between 2002 and 2011, UCB AG knowingly moved nearly $400 million through the U.S. financial system and banks in Manhattan on behalf of customers in Iran, Sudan, Cuba, and other sanctioned countries, including IRISL, which was sanctioned by the U.S. Treasury Department in 2008 as a specially designated national (“SDN”) under the Weapons of Mass Destruction Proliferation sanctions program (“NPWMD”) for its role in assisting the Government of Iran’s nuclear proliferation activities. UCB AG permitted IRISL to access the U.S. financial system and illegally move approximately $320 million through banks in Manhattan for nearly two years after IRISL was sanctioned as an NPWMD in 2008. UCB AG knowingly facilitated this conduct by directing employees to modify and omit references to sanctioned countries and parties in payment messages, and by establishing accounts for IRISL-owned or -controlled front companies for the purpose of facilitating illegal transactions through the U.S. The prohibited U.S. dollar-denominated transactions facilitated by UCB AG’s conduct violated New York laws by causing false payment messages to be filed with Manhattan-based banks, thereby concealing the illegal nature of the transactions and deceiving those banks into processing illegal payments they otherwise would have stopped pursuant to U.S. sanctions laws and regulations. 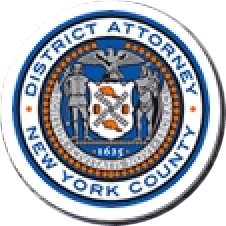 The D.A.’s Office previously indicted IRISL, along with ten related entities and five individuals, in 2011 for conspiring to disguise and move more than $60 million through banks in Manhattan following IRISL’s designation as an NPWMD. As part of the guilty plea, after crediting, UCB AG has agreed to pay approximately $316 million in criminal forfeiture to the D.A.’s Office. UCB AG concurrently has agreed to plead guilty and pay $316 million in forfeiture to the United States pursuant to a plea agreement with the Department of Justice. Pursuant to the plea and non-prosecution agreements and the resolution of the parallel federal and regulatory investigations, UCB AG, Bank Austria, and their parent, UniCredit S.p.A., have agreed to adhere to best practices for international banking transparency and to continue to implement procedures and training designed to ensure compliance with U.S. sanctions laws and regulations. In 2014, BNP Paribas Bank (BNPP) also pleaded guilty in Manhattan to falsifying business records and conspiring to evade U.S. sanctions and paid a record $8.83 billion in criminal forfeiture and penalties. The six-year investigation was conducted in parallel with the U.S. Attorney’s Office for the District of Columbia, the Department of Justice Criminal Division’s Money Laundering and Asset Recovery Section’s Bank Integrity Unit, the U.S. Internal Revenue Service Criminal Investigation, and the Federal Bureau of Investigation. D.A. Vance recognized the substantial contributions of the Federal Reserve Bank of New York, OFAC, and DFS, which conducted their own investigations. The UniCredit Bank AG case was investigated and prosecuted by Assistant D.A. Garrett Lynch, Deputy Chief of the Major Economic Crimes Bureau, under the supervision of Assistant D.A.s Christopher Conroy, Chief of the Major Economic Crimes Bureau, and Executive Assistant D.A. Michael Sachs, Chief of the Investigation Division. D.A. Vance also thanked the following agencies and individuals for their assistance in the investigation: Principal Assistant U.S. Attorney for the U.S. Attorney’s Office for the District of Columbia, Alessio Evangelista; Assistant U.S. Attorney Michelle Zamarin; Trial Attorney Margaret Moeser of the Department of Justice Criminal Division’s Money Laundering and Asset Recovery Section’s Bank Integrity Unit; Maryan Norton of the Board of Governors of the Federal Reserve; Katherine Landy and Robert Armenta of the Federal Reserve Bank of New York; Rachel Dondarksy of the Department of Treasury OFAC; and Matthew Levine, Deborah Brookes, and Terri-Ann Caplan of the New York State DFS.